1. Состояние онкологической помощи населению России в 2014 году. Под ред. А.Д. Каприна, В.В. Старинского, Г.В. Петровой. М., 2015. С. 5, 11. [Status of the oncologic assistance to the population in Russia in 2014. Ed. by А.D. Kaprin, V.V. Starinskiy, G.V. Petrova. Moscow, 2015. Pp. 5, 11. (In Russ.)]. 2. Chen Y., Thompson W., Semenciw R., Mao Y. Epidemiology of contralateral breast cancer. Cancer Epidemiol Biomarkers Prev 1999;8(10):855–61. 3. Hartman M., Czene K., Reilly M. et al. Incidence and prognosis of synchronous and metachronous bilateral breast cancer. J Clin Oncol 2007;25(27):4210–6. 4. Chen S.F., Du C.W., Yang P. et al. The molecular and clinicopathologic characteristics of bilateral breast cancer. Sci Rep 2013;3:2590. 5. Напалков Н.П., Бохман Я.В., Семиглазов В.Ф. Первично-множественные злокачественные опухоли. Л., 1987. 168 с. [Napalkov N.P., Bokhman Ya.V., Semiglazov V.F. Multiple primary neoplasms. Leningrad, 1987. 168 p. (In Russ.)]. 6. DeSantis C., Siegel R., Bandi P., Jemal A. Breast cancer statistics, 2011. CA Cancer J Clin 2011;61(6):409–18. 7. Senkus E., Szade J., Pieczyńska B. et al. Are synchronous and metachronous bilateral breast cancers different? An immunohistochemical analysis aimed at intrinsic tumor phenotype. Int J Clin Exp Pathol 2013;7(1):353–63. 8. Аблицова Н.В., Ермаков А.В., Рассказова Е.А. и др. Билатеральный синхронный рак молочной железы: отдаленные результаты лечения. Онкология. Журнал им. П.А. Герцена 2014;(1):14–8. 9. [Аblitsovа N.V., Еrmakov А.V., Rasskazovа Е.А. et al. Bilateral synchronous mammary gland cancer: afterhistory. Onkologiya. Zhurnal im. P.A. Gertsena = Оncology. P.А. Herzen Journal 2014;(1):14–8. (In Russ.)]. 10. Khan S.A., Stewart A.K., Morrow M. Does aggressive local therapy improve survival in metastatic breast cancer? Surgery 2002;132(4):620–7. 11. Ruiterkamp J., Ernst M.F., van de Poll-Franse L.V. et al. Surgical resection of the primary tumour is associated with improved survival in patients with distant metastatic breast cancer at diagnosis. Eur J Surg Oncol 2009;35(11):1146–51. 12. Fields R.C., Jeffe D.B., Trinkaus K. et al. Surgical resection of the primary tumor is associated with increased long-term survival in patients with stage IV breast cancer after controlling for site of metastasis. Ann Surg Oncol 2007;14(12):3345–51. 13. Blanchard D.K., Shetty P.B., Hilsenbeck S.G., Elledge R.M. Association of surgery with improved survival in stage IV breast cancer patients. Ann Surg 2008;247(5):732–8. 14. Hazard H.W., Gorla S.R., Scholtens D. et al. Surgical resection of the primary tumor, chest wall control, and survival in women with metastatic breast cancer. Cancer 2008;113(8):2011–9. 15. Сухотько А.С., Зикиряходжаев А.Д., Болотина Л.В. и др. Хирургический этап лечения в комплексной терапии у больных генерализованным раком молочной железы. Онкология. Журнал им. П.А. Герцена 2014;(1):24–9. [Sukhot’ko А.S., Zikiryakhodzhaev А.D., Bolotinа L.V. et al. Surgical stage of treatment in the comprehensive therapy of patients with the generalized mammary gland cancer. Onkologiya. Zhurnal im. P.A. Gertsena = Оncology. P.А. Herzen Journal 2014;(1):24–9. (In Russ.)]. 16. Чернова Е.В., Хайленко В.А., Артамонова Е.В. и др. Целесообразность удаления первичной опухоли у больных с впервые выявленным диссеминированным раком молочной железы. Российский онкологический журнал 2013;(2):27–30. [Chernovа Е.V., Khaylenkо V.А., Аrtamonovа Е.V. et al. Expedience of the initial tumor erasion at patients with the new onset disseminated mammary gland cancer. 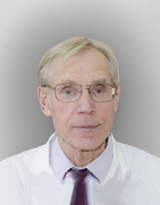 Rossiyskiy onkologicheskiy zhurnal = Russian Oncologic Journal 2013;(2):27–30. (In Russ.)]. 17. Le Scodan R., Stevens D., Brain E. et al. Breast cancer with synchronous metastases: survival impact of exclusive locoregional radiotherapy. J Clin Oncol 2009;27(9):1375–81. 18. Nguyen D.H., Truong P.T., Alexander C. et al. Can locoregional treatment of the primary tumor improve outcomes for women with stage IV breast cancer at diagnosis? Int J Radiat Oncol Biol Phys 2012;84(1):39–45. 19. Ly B.H., Vlastos G., Rapiti E. et al. Localregional radiotherapy and surgery is associated with a significant survival advantage in metastatic breast cancer patients. Tumori 2010;96(6):947–54.